School leaders across the state reopened their doors Friday after days of double-digit, subzero temperatures kept many buildings closed — and many students from needed meals. Scores of districts chose to cancel classes much of the week rather than risk putting kids in danger waiting for buses in brutal weather. State officials generally applauded that cautious approach and said districts will not face consequences for closing school. "We have reinforced that the decisions [schools] need to make this week are decisions to keep the students in your community safe," state Education Commissioner Mary Cathryn Ricker told MPR News. "We wanted to assure people that if there were any lingering questions about that after you make the decision around what it's going to take in your community to keep kids safe, that those lingering questions are absolutely going to get addressed." • Cold spell debate: Are school districts going 'soft'? Minnesota law calls for 165 days of instruction each year for public school students in grades one through 11. Schools that don't meet the threshold don't face financial penalties, although funding problems can arise for some early learning and special needs students with specific instructional requirements. Some schools used technology the past few days to keep instruction rolling even with school buildings closed. Farmington public schools began experimenting with e-learning during the 2014 polar vortex, and it paid off in 2019, said Superintendent Jay Haugen. Farmington students in grades three through 12 have mobile devices that they take home with them. This week, when the school building was closed, Haugen said he saw high school students filling up a local Caribou Coffee, working together online. Others he knew were logging into the school's digital system from home. "They keep learning in the way that so much work is done today," Haugen said. "You know, you don't have to be in the same room to learn and interact." Other students had needs that couldn't be met electronically. • School's closed: How do you juggle work and family? Many low-income kids rely on school for their most nutritious meals of the day; missed meals bring hunger and complicate learning. "Lots of kids in our community rely pretty heavily on the food that they receive at breakfast and lunch programs at school," said Rob Williams, executive director of Sheridan Story, a nonprofit that distributes meals to school kids in and around the Twin Cities. 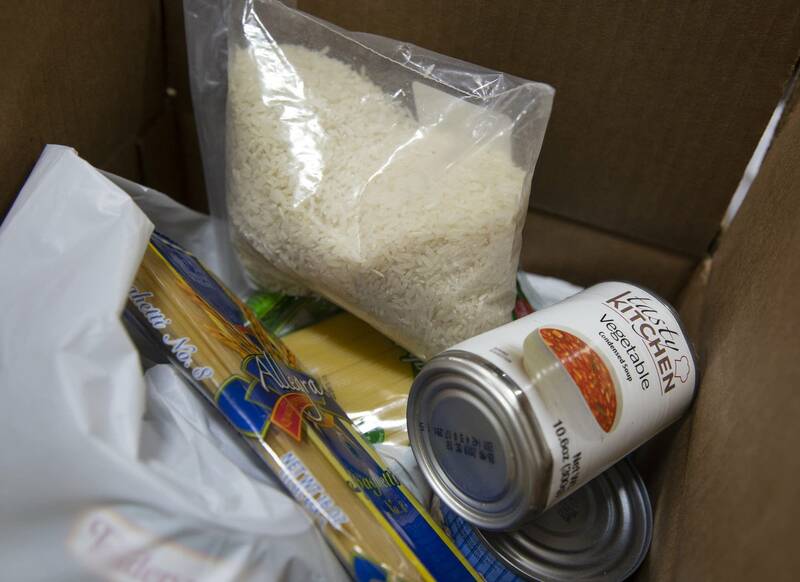 Many needy children haven't had access to school meal programs for four days, "which probably already has put some stress on maybe the food supply they have at home or the food access they have at home," Williams said. "So, we want to make sure that our program is definitely there on Friday so that they can take it home." Williams said his crew plans to work extra hours and use personal vehicles to make sure they can get food to kids Friday, since it's the only day many kids will be in school this week. "A lot of kids look forward to snow days or weather days or holidays, but a lot of kids don't," he said. "That is a time of instability and lack of access to food."